First Testimonial:- Michael is a very inspirational and enthusiastic piano teacher who explains things thoroughly and clearly in a way that is easy to understand. Music is the most relaxing, tranquil art possible and Michael has already made a huge impact to my musical skills. He sets you work appropriate to your level and goes through things at a comfortable pace. I look forward to my lesson with Michael every fortnight. Second Testimonial:- I’ve been having piano lessons with Michael for several years and in that time, my musical ability has rapidly increased due to Michael’s enthusiasm and attention to detail. With Michael’s patience and expertise, I have achieved high marks in all my theory and practical exams and my passion for music has developed. Therefore, I highly recommend Michael as he is an outstanding piano teacher and his musical knowledge is faultless. I have achieved Grade 3 London College of Music (awarded by the University of West London) Theory of Music exam with 98 marks out of 100 gaining a Distinction and Grade 2 Practical Solo Piano exam gaining 96 marks out of 100. 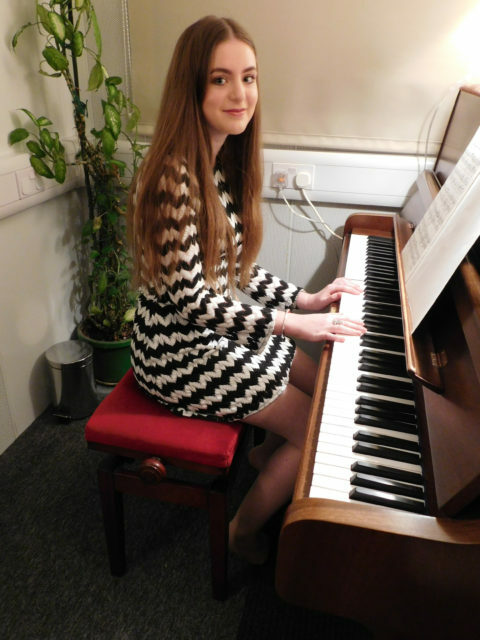 Also achieved, Grade 4 Trinity College London Practical Piano exam with 85 marks out of 100 gaining a Merit and Grade 4 Trinity College London Theory of Music exam, passing with Distinction: 91 marks out of 100.